We know we’re not the only company vying for your attention at the BenefitsPRO Broker Expo in April. 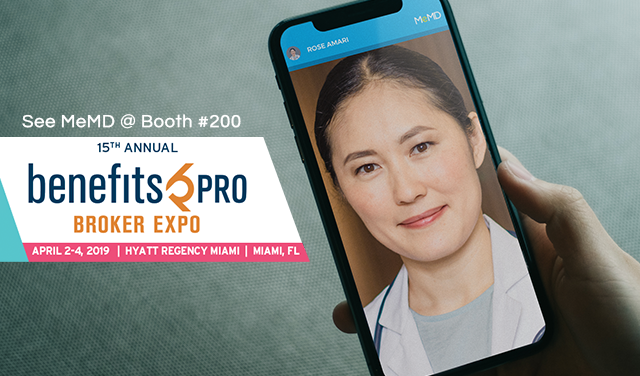 You’re probably hearing from countless vendors, providers and suppliers, all pleading with you to stop by their booths for a visit. 1. The best service for you: Unlike most telehealth providers, MeMD provides you with a dedicated account manager for the lifecycle of the relationship. This means a partner who will assist you throughout the sales cycle and help you design a package that meets the needs of your individual clients. 2. The best service for your groups: Our customer service for members is top-notch, too. On Trustpilot, an international review platform, our satisfaction scores are off the charts. 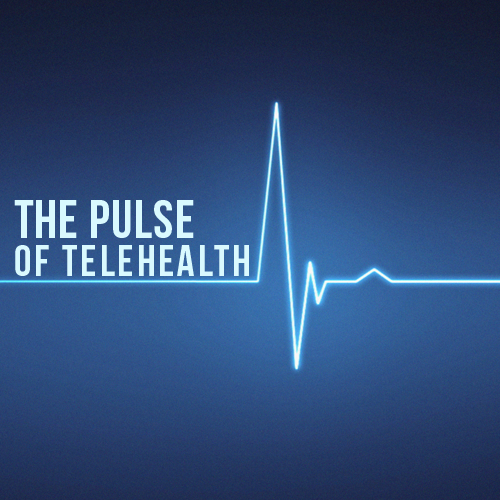 In fact, we’re their top-rated telehealth company overall, ranked “Great or Excellent” by 93 percent of users. 4. Quality you can swear by: With services in all 50 states, our providers are U.S. board-certified, state-licensed, and average 16.9 years of clinical experience, so you can feel confident recommending MeMD to your groups. As an added assurance, our medical director and clinical quality team continually monitor patient care and review providers’ charts to ensure MeMD is providing the very best in telehealth. 5. 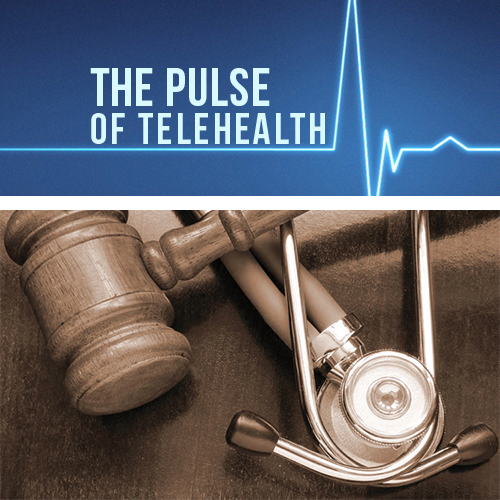 Standalone telehealth service: It’s common for telehealth to be embedded into a major medical plan, but members typically don’t know (or don’t remember) they have access to virtual care through their plan. With a standalone solution like MeMD – and the wealth of resources we provide – utilization is much higher. And the higher the utilization, the greater the cost-savings for your groups. Another perk? Unlike most health plan benefits, MeMD also is available to dependents! 6. Ease of use: Speaking of utilization, we make it incredibly easy for your groups to access our services. MeMD is easy to navigate, quick, efficient and user-friendly – even for non-techie types. Bonus: our portal is now available in Spanish, opening the door to even more employer groups. 7. Competitive pricing: While MeMD provides a lot of “extras” – dedicated account managers, superior quality and excellent customer service – the pricing is competitive with other telehealth providers. Moreover, you can add a margin or repackage the service however you see fit. 8. The edge on eligibility: This typically arduous process is easy and pain-free with MeMD. You and your groups manage eligibility on your end. With the correct configuration in place, on-demand eligibility to MeMD will be available – meaning new members can have access as soon as you want them to. It’s one less headache for HR (and you) – and a seamless experience for members. 9. Ease of implementation: Our programs are easy to implement, requiring much less work on the employer side. In fact, you can be up and running in 30 days – or less! 10. The telebehavioral health opportunity: Employers are keenly aware that mental health challenges affect productivity, morale and the bottom line. As such, more businesses than ever are eager to provide employees with quality behavioral healthcare – but they’re faced with the same cost and access issues that plague the rest of the nation. MeMD’s telebehavioral health services have emerged as a much-needed solution – and our signature quality is baked right into the program. 11. Cool stuff: Want a sampling of the sales, marketing and educational resources we’ve created to make your job as a broker easier? 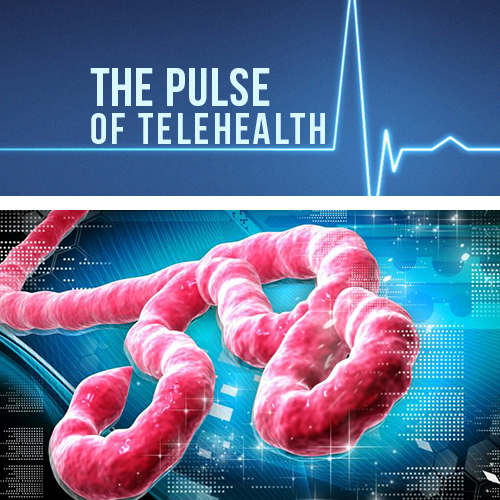 How about a white paper that makes the (unequivocal) business case for telebehavioral health? Even better, want to help your groups quantify the bottom-line impacts of depression with our behavioral health ROI calculator? If your answer is a resounding “YES” (or even a lukewarm “maybe”), come visit us at Booth 200!